MUNICH, December 5, 2017—Brainlab announced FDA clearance of the sophisticated Contrast Clearance Analysis methodology, developed at Sheba Medical Center in Tel-Hashomer, Israel, with technology provided by Brainlab. The software analyzes MR images to differentiate regions of efficient contrast clearance from regions with contrast accumulation in most cranial tumor patients to provide additional insight into post-treatment tumor characteristics. Tissues that are highly vascularized and viable, such as active tumor tissue, are able to efficiently clear contrast agent within an hour of contrast injection. Conversely, regions consisting of damaged blood vessels, for example areas of necrosis, are unable to clear contrast agent as quickly, resulting in contrast accumulation. Based on this phenomenon, the software works by acquiring two MRI scans—one at 5 minutes and another at least one hour after injection of a standard dose of contrast agent—and intelligently subtracting the first series from the second to clearly show the difference between contrast clearance and accumulation. 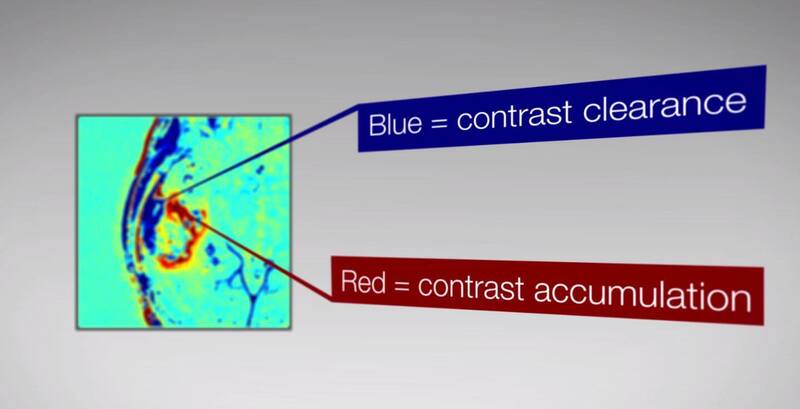 ﻿Elements Contrast Clearance Analysis can provide critical insight to a multitude of specialties including radiation oncology, neurosurgery, neuro-oncology and neuroradiology. Clinicians interested to see how Contrast Clearance Analysis supports ongoing assessment of patients, can find more information and a video at brainlab.com. Brainlab technology powers treatments in radiosurgery as well as numerous surgical fields including neurosurgery, orthopedic, ENT, CMF, spine and trauma. Founded in Munich in 1989, Brainlab has over 11,800 systems installed in over 100 countries.